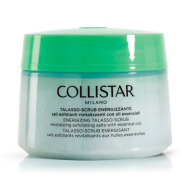 DESCRIPTION: Anti-Age Talasso-Scrub from Collistar is an exfoliating regenerator that helps to fight skin aging. 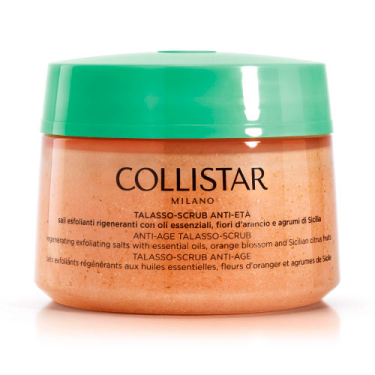 1 - Scrub: with sea salts which accelerate skin cell renewal. 2 - Anti-free radicals and lightener effect, with alpha hydroxy acids, and bioflavonoids, the Sicilian Citrus fights aging of the skin and prevent the formation of spots. 3 - Regenerating effect and anti spots: the precious L22 Complex helps to restore the natural hydrolipidic balance of youthful skin. 4 - Revitalizing action: Essential Oils of Sicilian citrus and orange blossom invigorates the skin and optimize the effect of other active ingredients.